These are north of Moses Lake. Banks is at approximately the intersection of county roads 8 NE and K.7 NE. 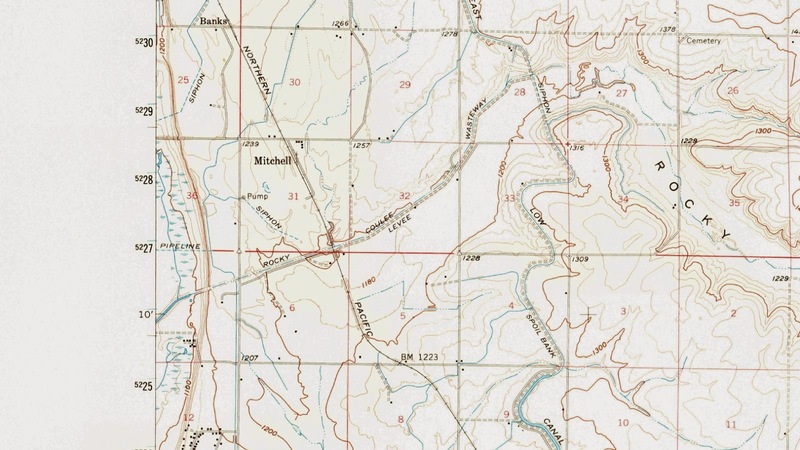 Mitchell is along Road 7 NE, and there is currently a feedlot and airstrip there.